BITS Pilani will be releasing the BITSAT Application Form 2020 for the candidates who are interested in pursuing their undergrad in one of the institutions of the BITS campus. Candidates will be able to start applying from the month of January 2020, and the BITSAT Application Submission can be done till March 2020. The BITSAT 2020 Examination will be scheduled to be held during the month of May 2020. The Application Submission process involves registering from the official website, filling in the personal and academic details, uploading scanned images of passport size photo and signature and payment of application fee. There will an Application Form Correction Facility provided by BITS for candidates to review their respective BITSAT Application Form. In this article, readers will learn about the BITSAT Application Form, its release dates, its submission procedure, and other relevant details. 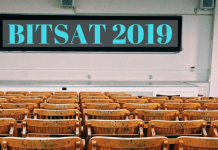 BITSAT 2020 exam conducting authorities will release the BITSAT Application Form, tentatively, around the 1st week of January 2020 and candidates will have the provision of submitting their respective application forms till around the 3rd week of March 2020. How to Apply for BITSAT 2020? 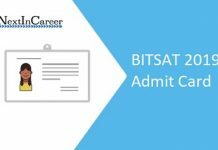 / How to fill BITSAT Application Form 2020? Candidates can apply for the BITSAT 2020 examination in the online mode. The application forms will release in the official website of BITS Admissions. The complete process is rather straight forward and simple. Candidates can follow the steps given below. Registration – Candidates will have to visit the official website and click on the ‘New Registration’ link. They will ask to submit a few personal details including their name and email Id. This will generate an application number which the candidates must make a note of. Candidates can choose their password of choice. After that, the candidate can proceed to the next section. Updating the Application Form – Here the candidate will have to update the application form with personal and academic details. Personal details such as Father’s Name, Mother’s Name, Nationality, Address, City, Pin code, State and Landline Number are to be filled in. Candidates will then be required to fill in their academic details such as Name of the institution attended, Name of Examination Board, Year of Passing, and so on. Candidates will also have to select their top 3 test centre preference for appearing the BITSAT 2020 examination. Updating required images – Candidates will have to upload their respective scanned images of recent size passport size photograph and signature. The size and dimensions are specified by the authorities and candidates must upload them in accordance with those norms. They are as given below. Scanned image of recent passport size photograph should be in JPEG/ JPG format and the size should be between 4kb and 50kb. Scanned image of candidate signature should be in JPEG/ JPG format and the size should be between 1kb and 30kb. Application Fee Payment – The application fee has to be made in order to complete the application submission process. The payment can be made in any of the modes available on the BITS server via Credit Card/ Debit Card/ Net Banking. For Male candidates, the amount to be paid will be INR 3150. Female candidates, the amount to be paid will be INR 2650. For candidates opting for Dubai Center, the amount will be USD 70. Candidates will be able to check their BITSAT Application Status regarding acceptance of the Application Form by the authorities. Other than that, candidates will be able to check the status of their application form payment. To do the same, candidates need to go to the official website of BITS. Once the candidate locates the login console, he/ she can enter in the following information. BITS has facilitated the Application Correction Facility for the candidate who would like to review their application forms once after the last date of the submission. Candidate will get this one time opportunity after the last date of the application submission. This will benefit the candidates who have submitted erroneous application forms. Candidates will have to go to the official website of BITS and enter in their login details and make the suitable corrections. Candidates can also re-upload their photographs and signature. Before applying for BITSAT 2020, read the instructions carefully. If there is any wrong information, exam authority may cancel your BITSAT 2020 application form. Your BITSAT 2020 application form will reject if photograph and signature look blurred or in improper pixels. The application fee is non-refundable. After completing the BITSAT 2020 application form, you must recheck the form once. Candidates must adhere to the official guidelines set forth by the BITSAT authorities in order to be able to be eligible for the BITSAT 2020 Examination. The application invitation by the authorities will only intimate to the candidates who will clear the BITSAT Eligibility Criteria 2020. We have provided all the detailed Eligibility Criteria for the BITSAT 2020 examination. Students who are thinking to apply for BITSAT 2020 can check whether they are qualified to do so by looking at the eligibility criteria given below. The eligibility criteria are guided by a few factors such as age factor, qualifying exam, required subjects, qualifying marks and so on. 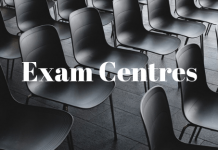 Qualifying Exam – Students must have passed the 10+2 examination from CBSE, ICST, FORW, State Boards, or any other government recognized board. Qualifying Marks – Now passing 12th with Physics, Chemistry and Mathematics is not enough as a student must have scored a certain percentage. The overall 10+2 pass percentage should be more than the clearing criteria. Candidate must have scored an aggregate of 75% in Physics, Chemistry and Mathematics taken together. If a candidate has chosen Biology instead of Mathematics, then he/ she must have scored an aggregate of 75% in Physics, Chemistry and Biology taken together. Candidates must have scored a minimum of 60% in each of the above-mentioned subjects taken separately. Candidates who have topped in their respective School Boards will be guaranteed a seat for academic admission of 2020 session. This has remained a trend with the BITS Admissions practices.